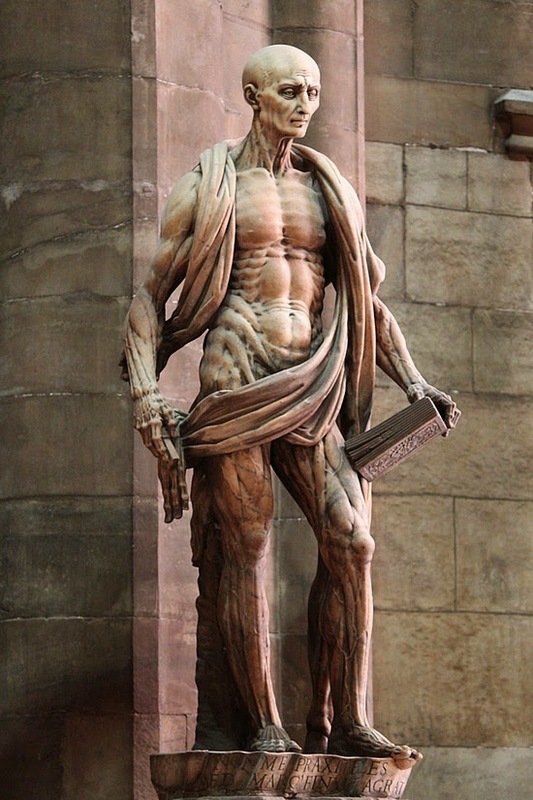 Statue of Saint Bartholomew, who was skinned-alive by the Romans for not renouncing his christian-faith. In this statue, the sculptor depicts Bartholomew with muscles, bones, and veins for all to see. Draped around his shoulders and waist is his own skin.